Made of 200 denier weather treated nylon. Finished with two brass grommets in a sturdy canvas header. 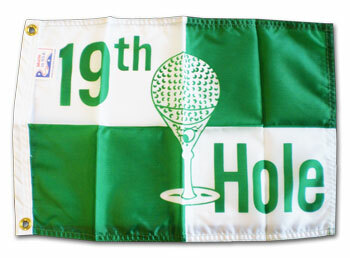 Ideal for display on your golf cart or just for fun.